On 13 October 2009, Boeing 777-F1B c/n 37312 l/n 820 flew first with test registration N554BA. On 1 December 2009, the cargoliner was delivered to China Southern Airlines and is operated by China Southern Cargo since. 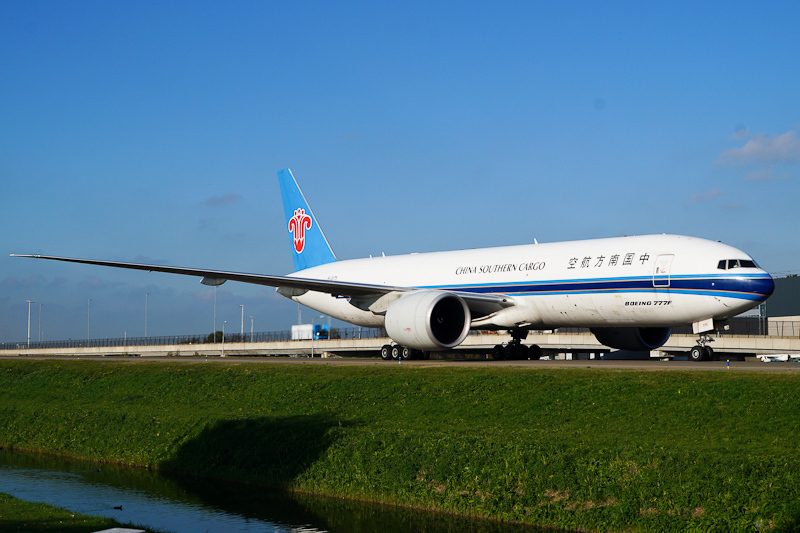 On 29 October 2015, Boeing 777-F1B B-2075 was seen on Taxiway Quebec at Amsterdam Airport Schiphol.